Imagine the color of the mid-winter sky, gleaming blue between the tufts of snow on bare-branched trees. 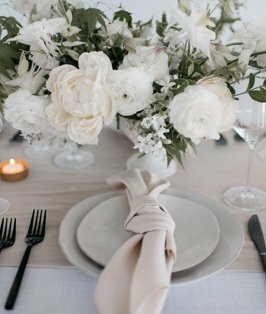 The crystal-clear blue linen moves with grace and subtle sheen, creating the perfect foundation for any tablescape. Choose this linen to bring the peaceful hush of nature to your event.